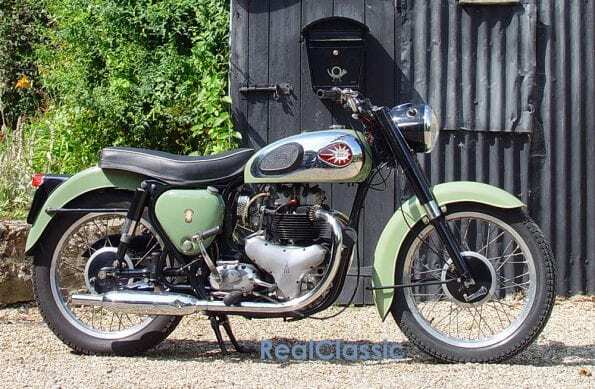 The A7 was BSA’s big push into parallel twin market, originally scheduled to appear in the late 1930s, to sell to those folk who so obviously adored Turner’s speeding twin. Designer Val Page started work on the A7 design in the 1930s, then Herbert Perkins (‘a first class engineer’ according to Bert Hopwood), took up the task after the war and oversaw the launch of the original A7. 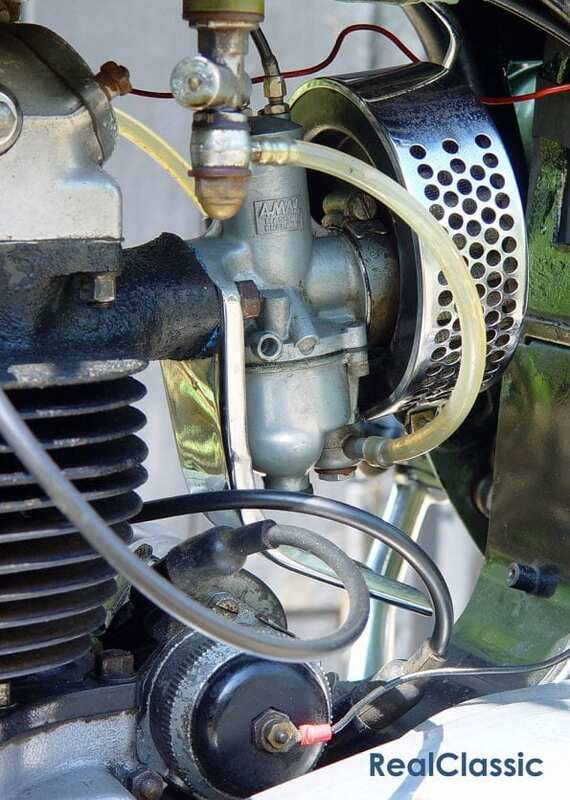 The first version was a 495cc, 26bhp, iron head twin with a single camshaft, pushrod-operated overhead valves and a single carb, housed in a duplex frame with rigid rear end and BSA’s tele forks. With the 650 established, the new A7 was launched in 1951, and the re-designed 500 engine shared very few components with the previous model. However, the A10 and A7 were extremely similar under the skin, with 90% or more of their parts being interchangable. The new A7 engine had a shorter stroke than its predecessor; reduced by nearly 10mm from 82mm to 72.6mm, which gave a slightly different capacity of 497cc and a slightly more lively feel to the motor. There wasn’t a great deal of difference in the ultimate power produced by the new A7 compared to the old ‘un, up 2bhp to 28bhp, but it would rev a little higher and with a little more vigour. The new A7 could also be tuned – or indeed, taken to competition in near-stock trim and with some success. Three A7s chosen at random from dealers in 1952 won the Maudes Trophy, which included a 4500 mile trek across Europe and the ISDT. Then a tuned but unfaired A7 clocked 123.69mph at Bonneville Salt Flats, and yet another A7 went on to win the 200 mile race at Daytona Beach in 1954. 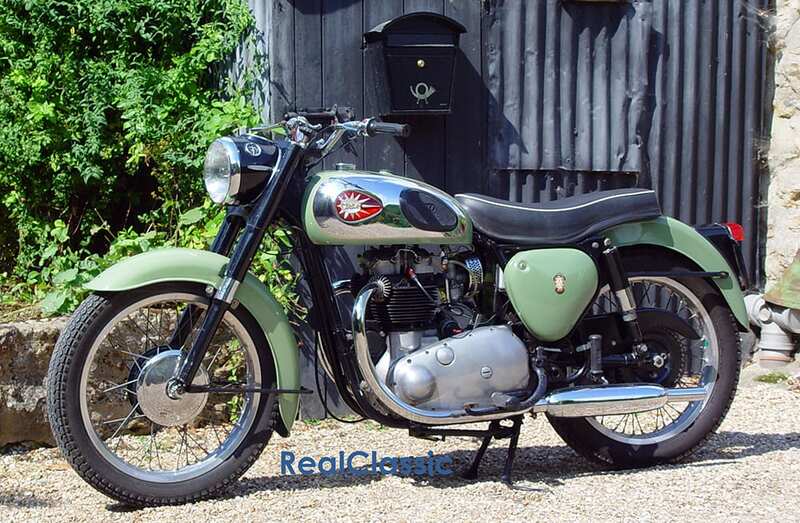 The A7 evolved throughout the 1950s into the tidy motorcycle you see here. 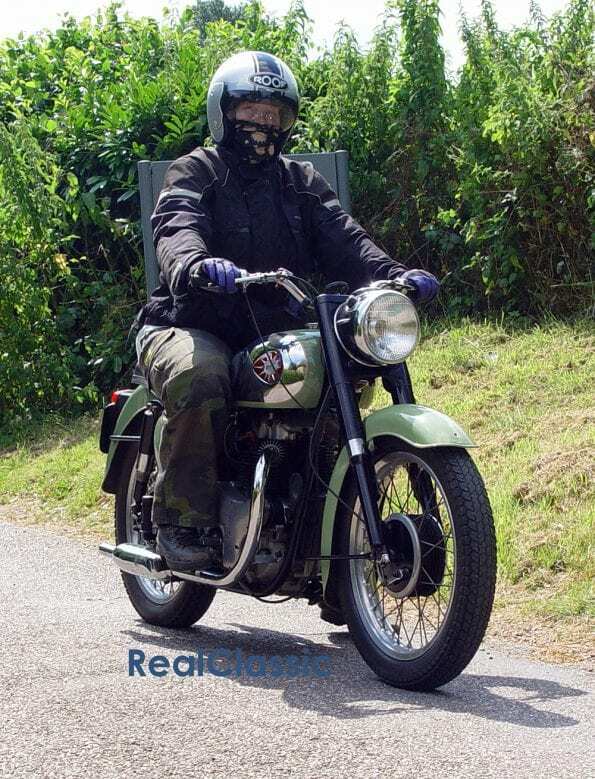 We rode a 1961 bike, nearly the last of the pre-unit 500s, which when new would have had its swinging arm rear end supported by Silentbloc bushes and Girling dampers. You’ll probably be familiar with the more glamorous Shooting Star variant – the sports 500 with high-compression pistons and alloy cylinder head – but this one is the cooking version, the A7 for everyday use. The A7 started very easily, second kick from stone cold, and quietened down to a murmur at a steady tickover. 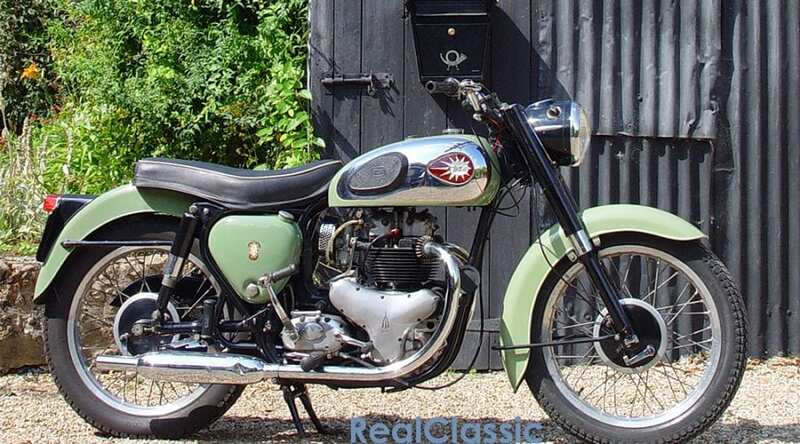 The sound of the BSA is entirely different to, say, a Triumph 500. The A7’s top end purred, there was a gruff rumble coming from below and a pleasant ba-da-boom from behind. You could sneak out on this bike at 6am and be entirely unafraid of awakening the neighbours. However, the A7 didn’t exactly leap away like a scalded cat. I opened the throttle and after a while we gathered some speed. Nothing dramatic and, it has to be said, nothing to get the heart racing, but all the same we achieved a respectable pace in a few hundred yards with fuss-free grace. This is, after all, the bike which Motor Cycling described as ‘essentially sturdy, straightforward’ and ‘without frills’. The clutch was beautiful and light – the gearchange noticeably notchy. I suspect the cogs would swap rather more freely after 500 or a thousand miles, but during my ride changing down through the 4-speed box needed to be a considered process and I didn’t manage to find neutral at any junction or appropriate moment. The riding position was really comfortable and more tilted forward than I expected; more sporty than the A7’s staid image suggests. I wasn’t sitting back, but leaning into the wind which made it easy to fling into corners. The forks and rear dampers were very stiff which made the ride pretty bouncy and unforgiving when, on an A7 of this era, it should have been supple and ultra-smooth. Still, the 500 held its line beautifully and there was plenty of flexibility once the engine was spinning at 3000rpm to motor confidently out of each bend. 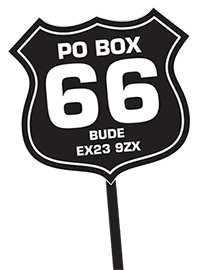 Back in the 1950s, the testers would push on in third gear up to nearly 85mph – 50 years later, I wasn’t going to take it much further than 45 before shifting into top. 85mph would also have out-performed the bike’s braking capabilities. 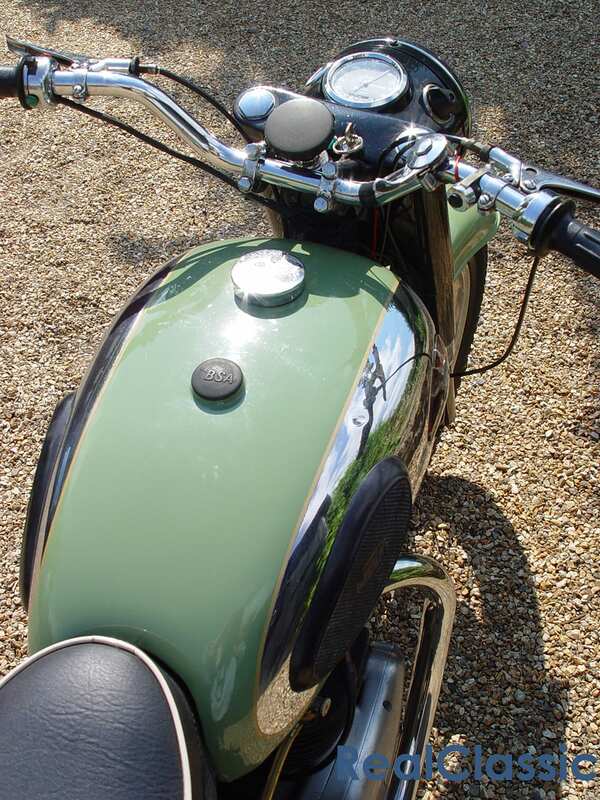 The rear 7-inch drum was OK – and nothing better than OK – while the similar stopper at the front was far less than OK. BSA specialists Pat and Mike at Lyford Classic Services (who you may find trading at eBay) had some suggestions. ‘Over the years the brake lining material has changed for the better. Anybody who has old glazed hard linings — which we come across regularly — should replace them with new ones. Likewise, the drum wears oval and could need reskimming to make for smoother and more efficient braking. New cables will make hell of a difference, too! ‘On the ‘58 onwards bikes, the ones that use the cast-iron hub, a good upgrade is to fit the A10 8-inch front hub rather than the 7-inch fitted on the standard A7. ‘Mike always junks the 6-spring clutches on the swinging arm models’ says Pat. ‘This is because the pattern parts for them, other than the clutch plates, are rubbish and you can’t set them up properly. So this makes neutral difficult to engage and causes the clutch to drag. We always use and recommend 4-spring clutches, especially now that we have overcome the clutch hub and pressure plate problems by having some made to our own specification. This makes the clutch a pleasure to use! ‘Another problem many A7/A10s have is weak front fork springs. Most people think that the springs they already have are fine, whereas they usually have softened over the years and a new set is required for a completely better ride. Then while assembling the forks, we have discovered that most people do not realise that they may require shims between the circlip and the top of the bush. This stops any “donking”! ‘Obviously, headrace cup and cones take a hammering over the course of time, and again 9 out of 10 times they need replacing. You should also check out the metallastic swinging arm bushes. Although these are very long lasting, they may have become soft and give a wallowing ride on the back. Properly set up and run in, the A7 comes close to capturing the essence of traditional British motorcycling, and it does so at two-thirds of the cost of a posh 650 twin. Check out a few adverts and you’ll find A7s and the occasional A50 selling for much the same money as a 350 Triumph or even some 500 singles. Yet owning an A7 doesn’t make you a second class citizen. Photos by Rowena Hoseason and Frank Westworth.